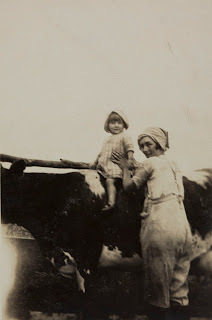 A Historypin Pin of the Day image showing Henry Thomas and his children seated on and standing beside a cow, recently caught my eye. 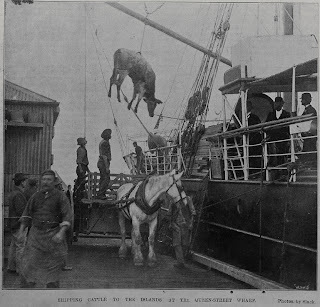 The image is originally from the Wairarapa Spydus Archive and was pinned by the DairyNZ Time Capsule Project. The project is a nationwide initiative for NZ Year 5-8 students. The project aim is to create an online time capsule of the NZ Dairy Industry. Auckland Libraries holds collections of heritage photographs depicting cows and the dairy industry, including a similar image of a child sitting on a cow (see below). Many of these images can be accessed through Auckland Libraries' online heritage databases: Heritage Images, Footprints and Local History Online. Images depict locations from around the Auckland Region and further afield, such as Kaitaia and the Waikato. Cows and the dairy industry go back to the pioneer colonial days in New Zealand and are still a very important agricultural industry in New Zealand - from backyards to farm milking sheds and factories, all the way up to industry giant Fonterra. 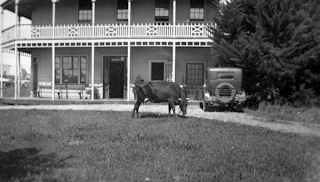 The first dairy factories were established in New Zealand during the 1870s and 1880s, when refrigerated shipping was introduced. 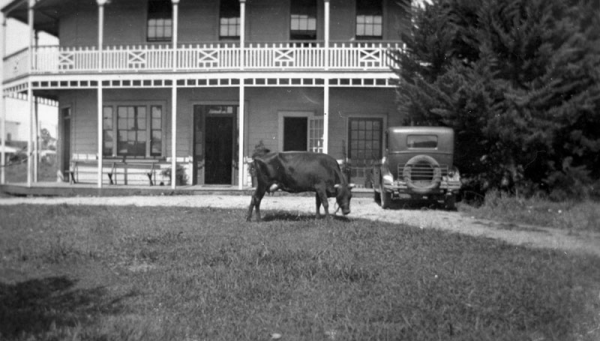 The first one opened near Invercargill and by the early 1900s, there were hundreds of dairy factories, many of which were owned by co-operatives. 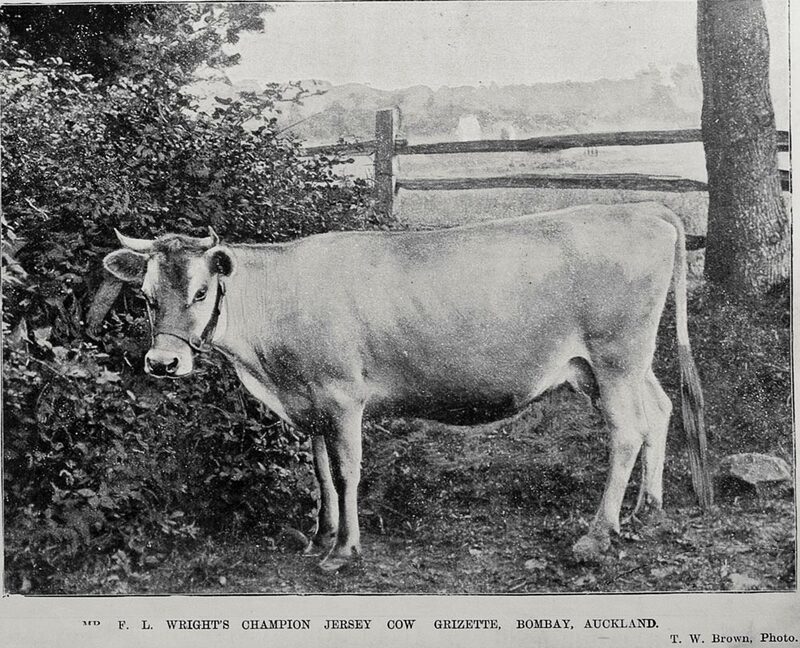 Creameries opened a bit later in the 1890s and in 1886, Anchor, New Zealand's iconic brand of butter was born in the Waikato. During the 20th century, the number of dairy factories greatly reduced but due to economies of scale and the advent of new technologies such as milk tankers in the 1950s (which could collect milk directly from farms), output increased. Over time the number of cooperatives has also diminished with Fonterra producing the lion's share of New Zealand's milk. Since early 2000s though, there has been a marked growth in the gourmet boutique cheese market, including organic products. 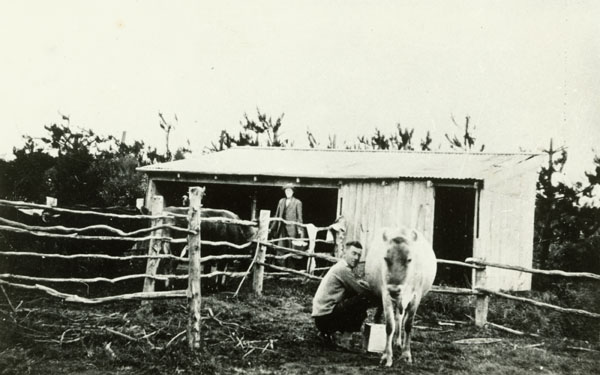 You can find out more from the Te Ara and NZ History Online websites, which have a whole array of information on all things dairy. 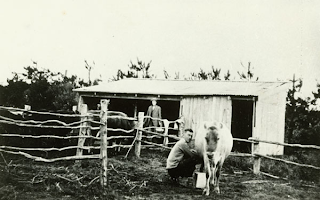 For more about the DairyNZ Time Capsule Project go to the Go Dairy! Education website. 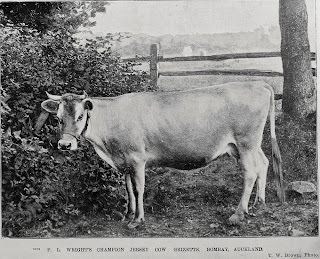 Auckland Libraries also has a large selection of heritage resources linked to the dairy industry, which you can search by subject or just browse by titles. 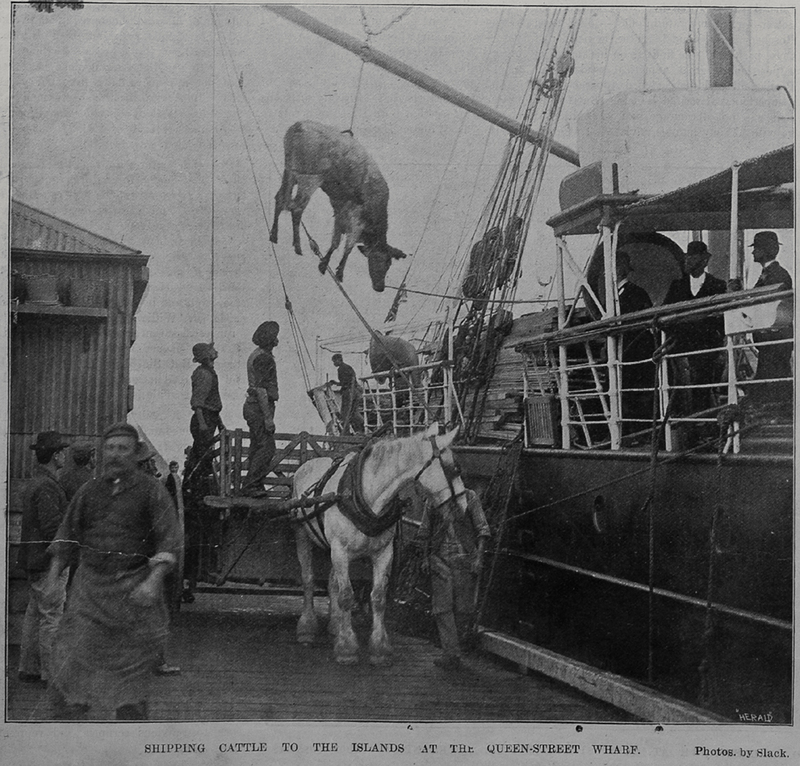 And watch out for cows turning up on Auckland Libraries, Heritage & Research Historypin page in the future! This story was really awesome and good to read. Thanks for sharing it.